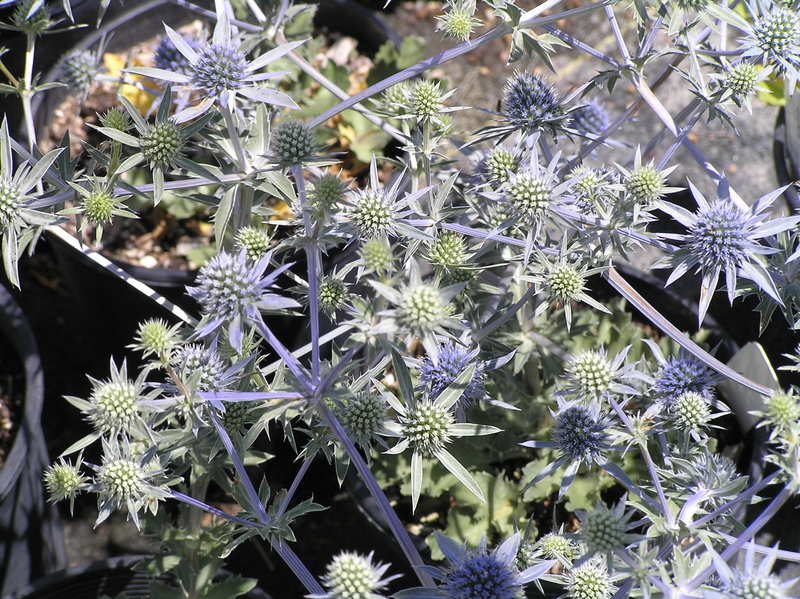 This is a densely compact mounding evergreen perennial with with sharp prickly blue gray spines. They have white to pink flowers in late June to July. Limited availability. This is a tall bushy perennial with gray green leaves and sulfur yellow flowers. They bloom throughout the summer with some deadheading. This is a medium sized perennial with dark green fern like leaves and brick red & yellow flowers. They bloom all summer with some deadheading. This is a medium sized perennial with bright green fern like leaves. They have striking red-wine colored flowers that bloom throughout the summer. They make a great cut flower. This is a tall perennial with silvery green fragrant leaves and pale orange flowers. They are great for attracting hummingbirds. This is a selection of Wild Hyssop that has large rose colored flowers and more compact growth habit. This is a very fragrant perennial, longer blooming than the species. 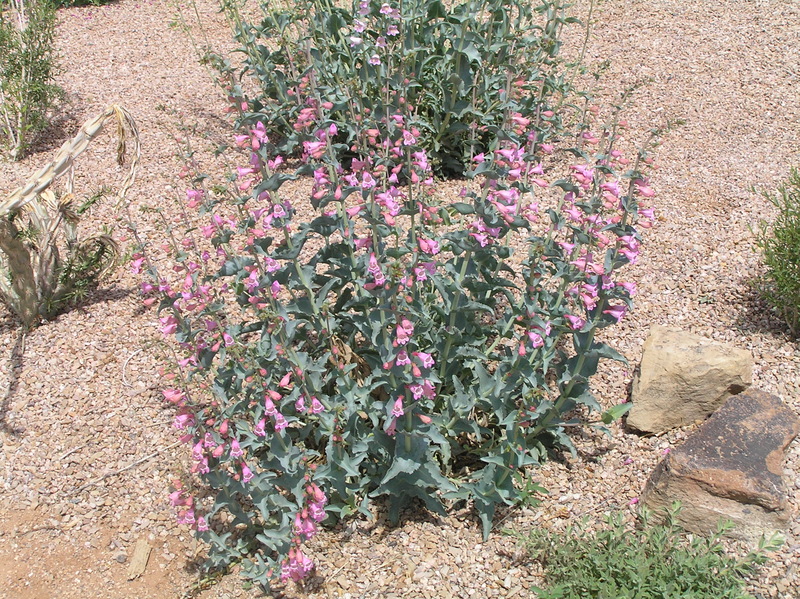 Also called Double Bubblemint this tall bushy perennial has fragrant pink flowers that bloom from July through October. They are great for attracting humming birds. The flowers smell like bubble-gum. This is a tall perennial with blue green fragrant leaves and bold spikes of sunset–orange flowers. Blooms summer to fall. The fragrance is reminiscent of licorice. 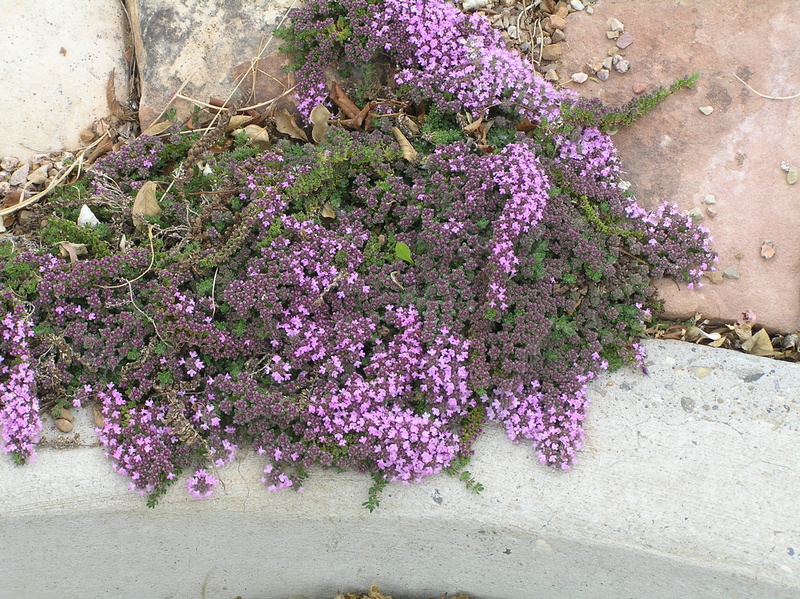 This is a small succulent perennial with chubby green leaves and bright purple flowers in early spring. This is an upright clump forming perennial that is native to western Colorado. It has powder blue flowers and dark green leaves. This columbine has pastel pink and yellow flowers bloom from spring to summer. Delicate blue green leaves throughout the summer. Very drought tolerant. This is a tall perennial with dark green leaves and blue and white flowers. Blooms in spring. This is the State Flower of Colorado. This Columbine produces large fragrant bright yellow flowers which bloom all summer. They are native to hanging gardens of Colorado, Utah, and New Mexico. The Denver Gold columbine is one of the longest blooming columbines and is very adaptable to various soils and conditions. Named in memory of the victims of the Columbine High School tragedy. This columbine has striking violet-purple and pure white flowers. 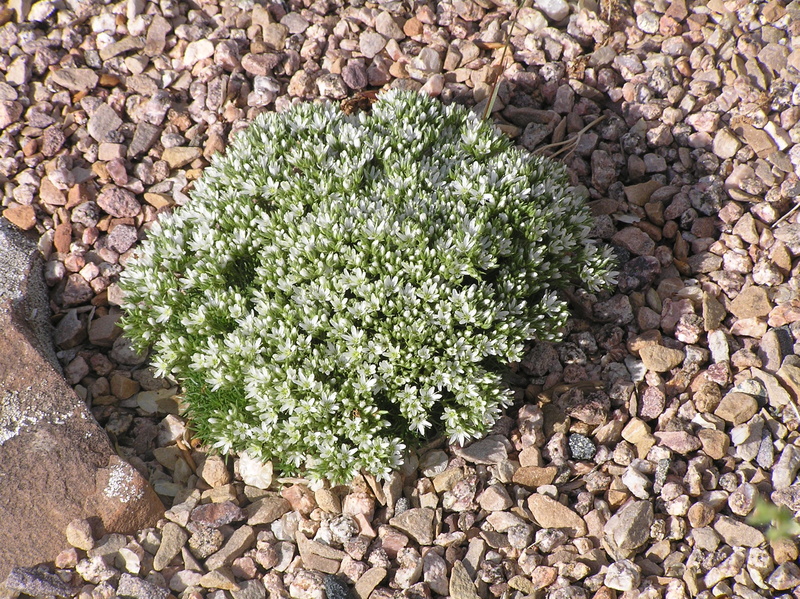 This is a compact evergreen alpine perennial with bright green moss like leaves and white flowers in late spring to early summer. We have successfully grown this plant in our cactus garden for two seasons with minimal irrigation. It adds a bright spot of green to all of the blues and greys of our garden. This perennial has blue green spiny leaves and large white flowers. It is extremely drought tolerant. This is an Eastern Plains species that was introduced to the Western Slope possibly by the highway. 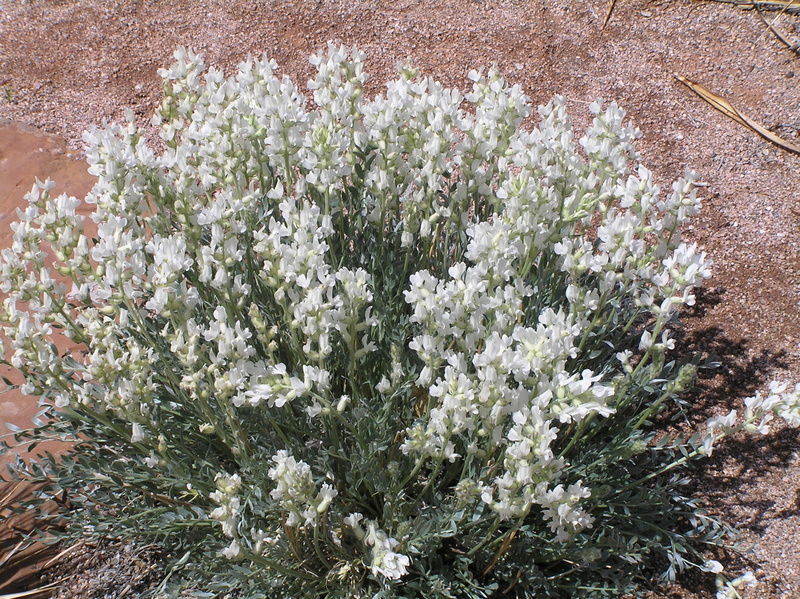 This is a mound forming perennial with fragrant soft silver foliage. They make a great accent. This is a low growing mound forming perennial with fragrant finely cut silver leaves. This is a low growing perennial with bright finely-cut silver leaves. It makes a great accent plant. This is an up right perennial with light green leaves and orange flowers in mid summer. They tolerate poor soils well. They are great for attracting butterflies. The caterpillar of the Monarch Butterfly feeds on the leaves. This is a medium sized perennial with blue green foliage and yellow flowers. The flowers smell like milk chocolate and they bloom all summer long. This is a low growing perennial with burgundy cup shaped flowers blooms until frost. They work well as a ground cover. This is an awesome mounding perennial with large 2″ square, yellow flowers. Flower buds bold with pink and yellow polka-dots. The flowers bloom from June till frost. They are very drought tolerant. They tolerate poor soils very well. This is a tall bushy perennial with blue green leaves and white flowers. Blooms all summer long. This is very drought tolerant. This is a tall bushy perennial with fleshy blue green leaves and red to pink flowers. They are very drought tolerant. They are very adaptable either to sun or shade. This is a low growing silver ground cover with white flowers in spring and summer. Can be very aggressive so give it plenty of space. 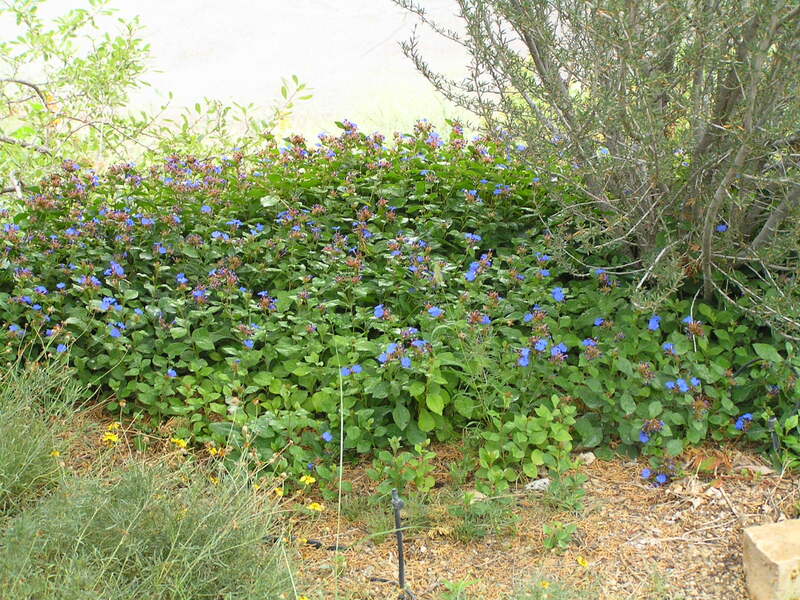 This is a low growing ground cover with glossy green leaves and deep blue flowers in summer. They work well in sun or shade. They have maroon fall color. This is a medium sized perennial with bright green leaves and vivid double yellow flowers. This is a clump forming perennial with shiny green leaves and bright yellow flowers. 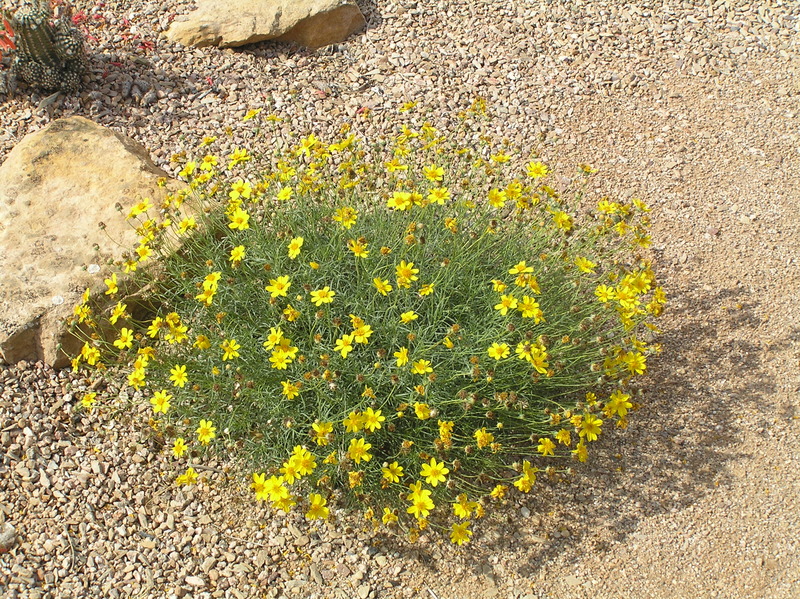 This is a rounded mound of bright thread like green leaves and pale yellow flowers in mid to late summer. This is an upright clump forming perennial with finely cut leaves. They have bright purple cone shaped flowers throughout the summer. The Purple Prairie Clover is thriving in our cactus garden, which we water once during the summer. This is a ground cover that forms a thick carpet of grayish green leaves. Their blooms are a vivid purple from early summer to fall. This is a low growing ground cover with fuchsia/white flowers. This variety is particularly vigorous and showy. This is a low growing ground cover with red flowers that fade to copper red. This is a compact ground cover with salmon pink flowers. This is a low growing ground cover with bright yellow flowers early summer and again in fall. They have light green succulent leaves turn red in winter. 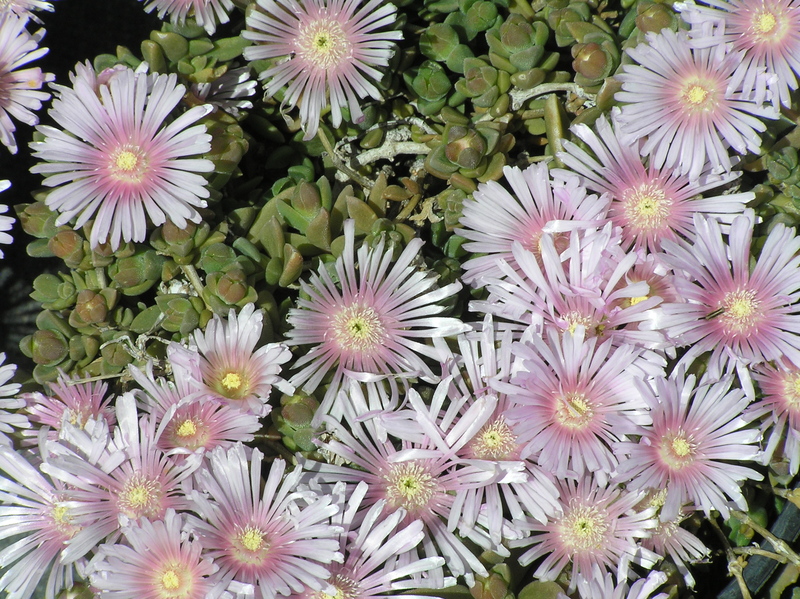 This is a small Iceplant with white flowers and pink flower buds. 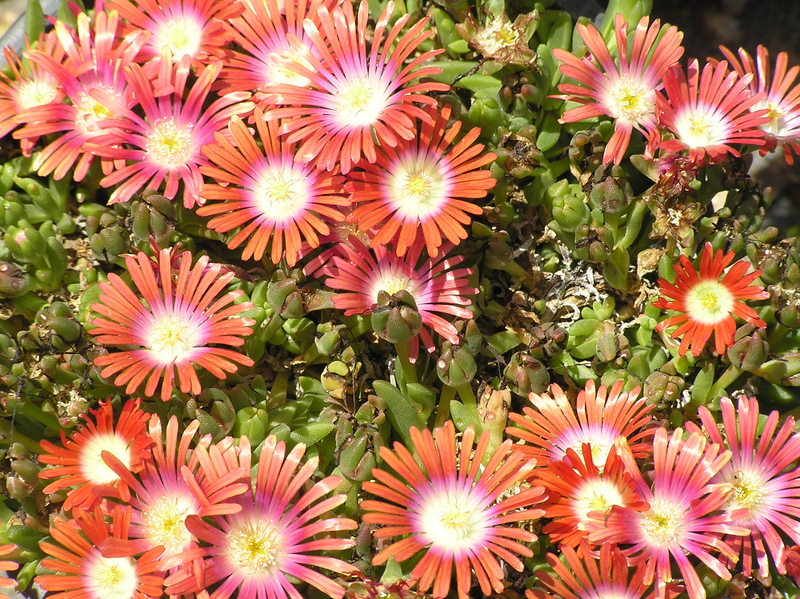 This Iceplant has large dark green leaves and large bright lavender flowers in summer. This is a low growing mounding perennial with soft pink flowers. Blooms from spring through summer. 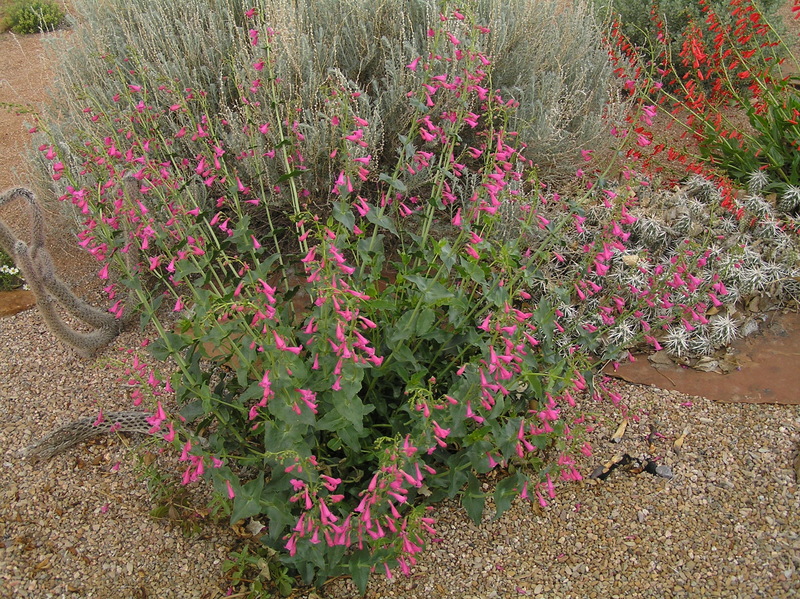 This perennial has tall pink flowers that bloom from April-August. This foxglove grows well in dry shade. This is a broad clump forming perennial with vivid purple flowers. Attracts butterflies. This is a lovely perennial it has rose pink flowers with coppery brown cone that bloom from June until the first frost. Magnus was voted the Perennial of the year by the Perennial Plant Association in 1998. This is a tall perennial with deep green leaves and white flowers. This is a low growing mat forming perennial with bright green leaves and sulfur yellow flowers. The flowers fade to shades of pink. The foliage turns a bright burgundy in the winter. This is a fantastic low growing mat forming perennial with dark green pointed leaves and sulfur yellow flowers in spring. They have great fall-winter color. Low growing mat forming perennial with silvery leaves and cream to pink flowers. This perennial has blue green leaves and steel blue thistle like seed heads. They are very drought tolerant and make a good cut flower. This is a low growing ground cover with white flowers and tiny strawberries. Low growing strawberry with bright pink flowers and sweet berries. This is a medium sized gaillardia with finely cut burgundy flowers. 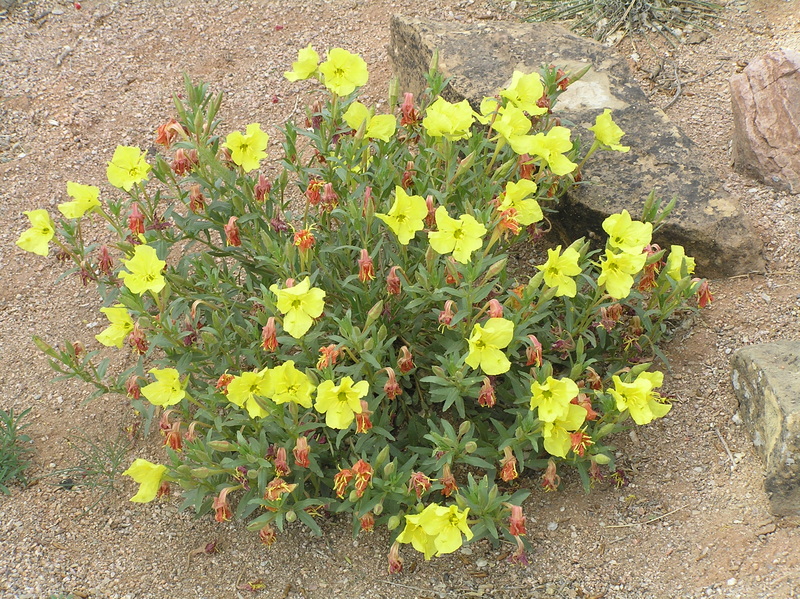 Clump forming perennial with rugged red and yellow flowers blooms in summer. This is a dwarf gaillardia with large gold flowers. This is a tall fast growing perennial with delicate white flowers blooms all summer long. They can tolerate shade. This is a tall perennial with slender green to red leaves and soft pink flowers that resemble butterflies. This is a mound forming perennial with light green leaves and bright pink flowers. Blooms in late spring to summer. The leaves turn to burgundy in fall. This is a large perennial with gray to green leaves and vivid blue flowers. This is a mound forming perennial with dark green leaves and pink flowers in mid spring. Mound forming perennial with magenta flowers. Leaves turn burgundy in winter. This is a mound forming perennial with white to pink flowers in summer. They have graceful foliage through out the year. This is a large fast growing perennial with rose purple flowers early summer. This is a medium sized perennial with fuzzy green leaves and scarlet flowers. This is a low growing ground cover with deeply cut fern like leaves and pastel pink flowers lantern shaped flowers that bloom in early spring. This is a native to the Grand Mesa. This is a tall fast growing perennial with bright yellow daisy flowers in the fall. Great for fall color. This is a tall fast growing mound forming perennial with gold flowers. This is a clump forming perennial with burgundy flowers in summer. This is a grass like perennial with bright green leaves and stunning rust colored flowers that bloom in summer. This is a medium sized daylily with rich green leaves and golden flowers most of the summer. This is a clump forming perennial with rose wine colored flowers. 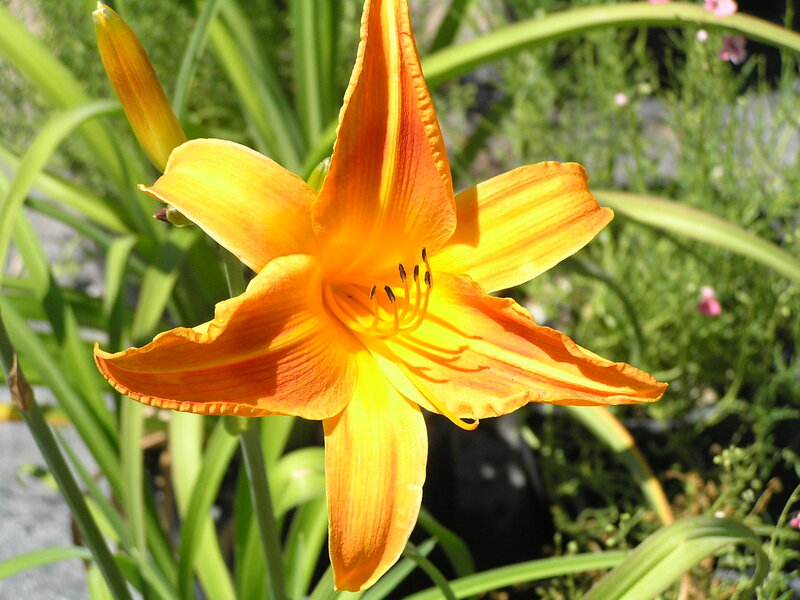 This is a large flowering daylily with gold apricot flowers that bloom in mid summer. This is a low growing shade loving perennial with rich burgundy leaves and burgundy flowers in early summer. This is a low growing shade loving perennial with variegated green and white leaves. This coral bells have deep pink flowers in early summer. This is a low growing perennial with rich green leaves and scarlet red flowers in early summer. This is an extremely drought tolerate perennial with dark green leaves and bright yellow daisy like flowers that bloom all summer long. Tolerates poor soils very well. This is an extremely drought tolerate perennial with thin deep green leaves and bright yellow flowers that bloom all summer and into the fall. They also have good winter color. This Iris has numerous deep purple flowers. Make a good cut flower. This is an improved verity that blooms the first year. 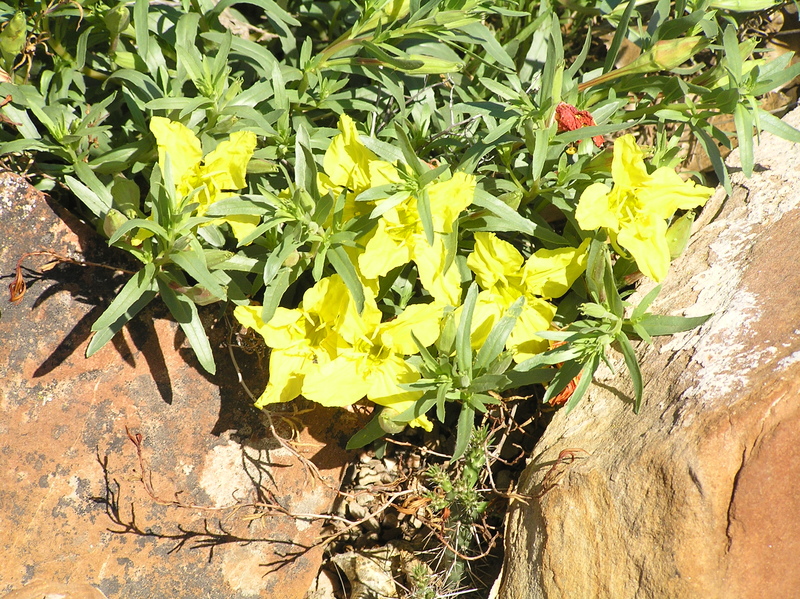 It has red to yellow flowers that attract butterflies. Dense spike like leaves with large red/yellow flower spike. This is a compact Lavender with blue purple flowers. They tolerate saline soils and prefer well drained soils. This is medium sized lavender with violet blue flowers spring to fall. 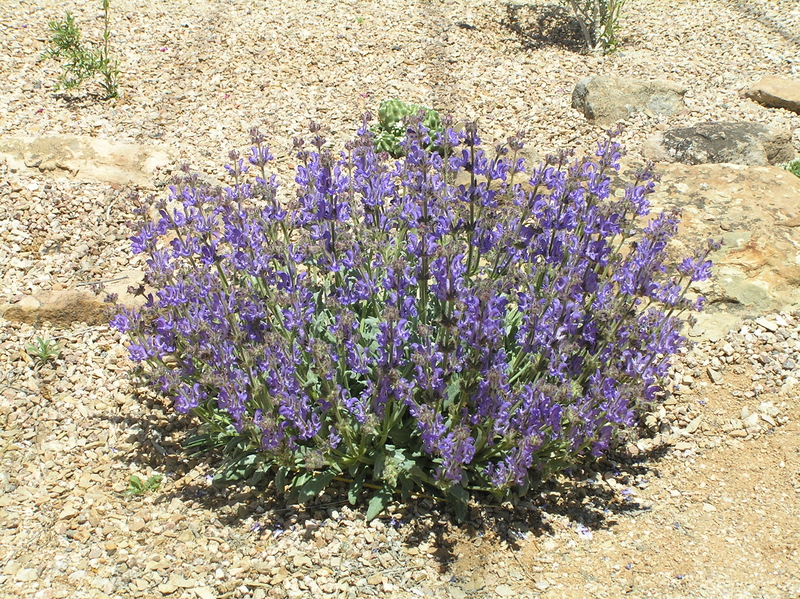 This is a medium sized perennial with slender grayish green evergreen leaves and lavender to blue flowers. 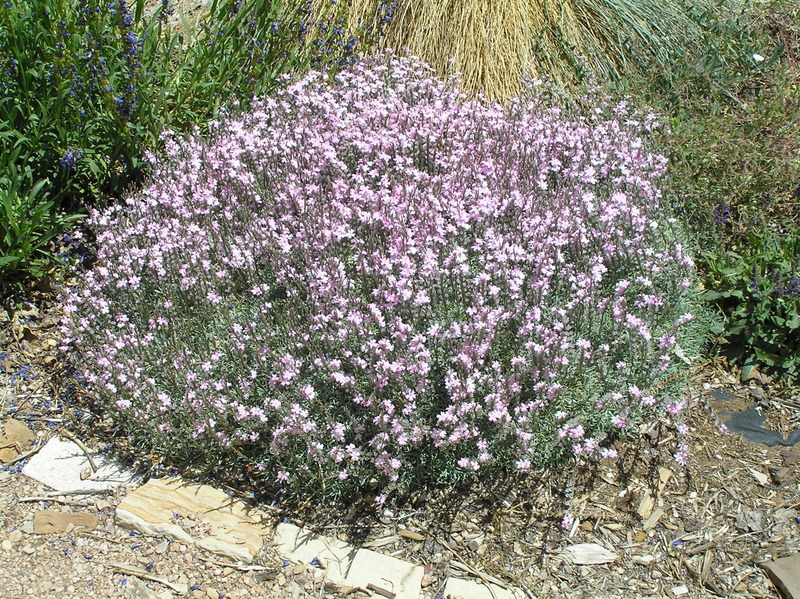 This is a compact lavender with light pink flower and silver foliage. This is a large perennial with dark purple flowers in summer. 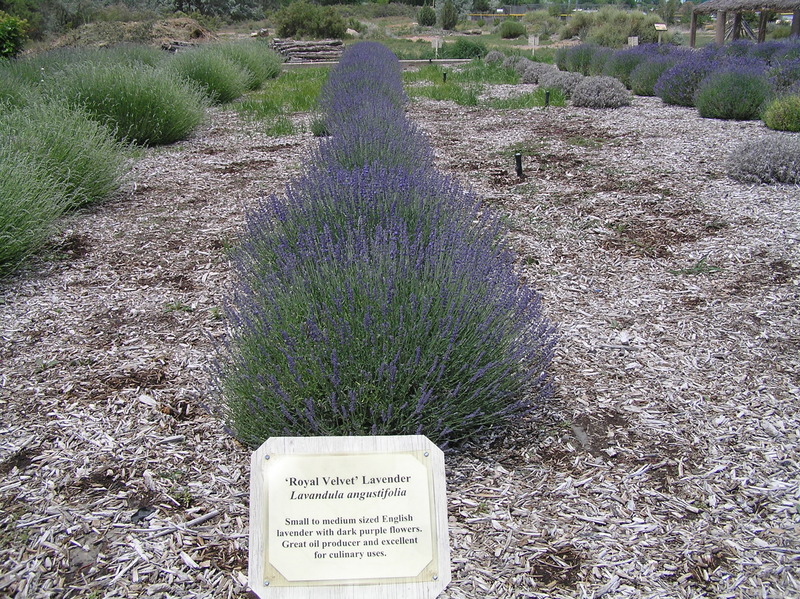 This lavender can be used as a culinary herb and tolerates poor soils well. This is a large perennial with grey green evergreen leaves it has large purple flowers. They prefer well drained soils. This is a compact clump forming perennial with dark green leaves and white flowers. This is a tall perennial with silver green leaves and spike like lavender purple flowers. This is a compact selection of Gayfeather with dense violet spikes in mid to late summer. Clump forming perennial with fine textured blue green foliage and vivid blue flowers blooms June through August. This is a mounding perennial with white flowers that bloom all summer. 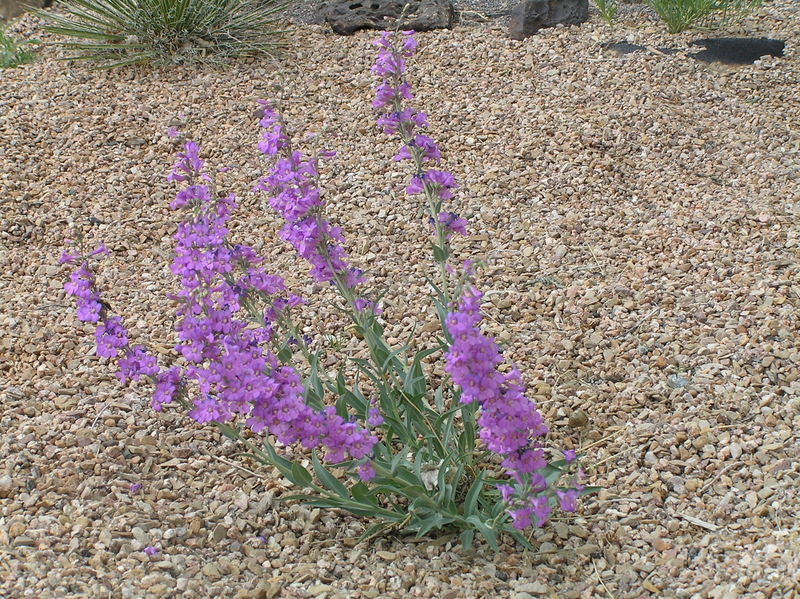 It is very drought tolerant and works well in rock gardens. Gorgeous mounding perennial covered in magenta flowers. Blooms from spring until frost. Great for attracting hummingbird moths. This is a fragrant perennial with curved lavender colored flowers. Also know as Horse Mint. This is a low growing perennial with fragrant rich green leaves and lavender pink flower clusters. This is a medium sized perennial with gray green leaves and soft blue flowers. It likes to spread out. 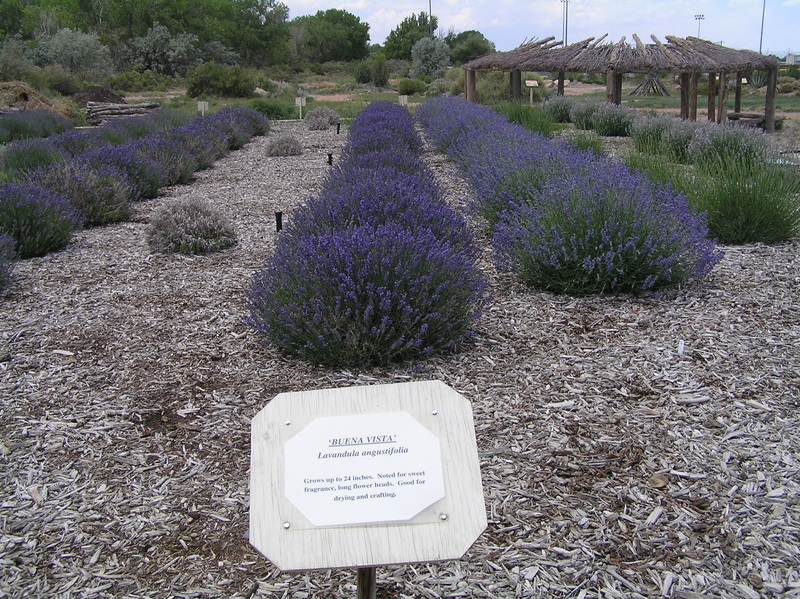 This is an upright spreading perennial with gray green leaves and lavender flowers. This is a low growing catmint with lavender flowers and soft grey green foliage. This is fantastic low growing perennial the rosettes have silver wooly leaves and white flowers. It blooms all summer. This is a low growing perennial with glossy green leaves and large yellow flowers. This is a low growing perennial with sliver leaf blades and bright yellow flowers that bloom in summer. This ia a low growing perennial with dark green leaves and white flowers in summer. This ia a low growing perennial with dark green leaves and purple flowers in summer. This is a clump forming perennial with grey green leaves and white flowers in early spring. Tolerate poor soils and very drought tolerant. This perennial is one of the first flowers to emerge after winter. This perennial has blue green leaves and coral orange flowers. It is extremely drought tolerant. This is a slender Penstemon with blue green leaves and pink flowers. 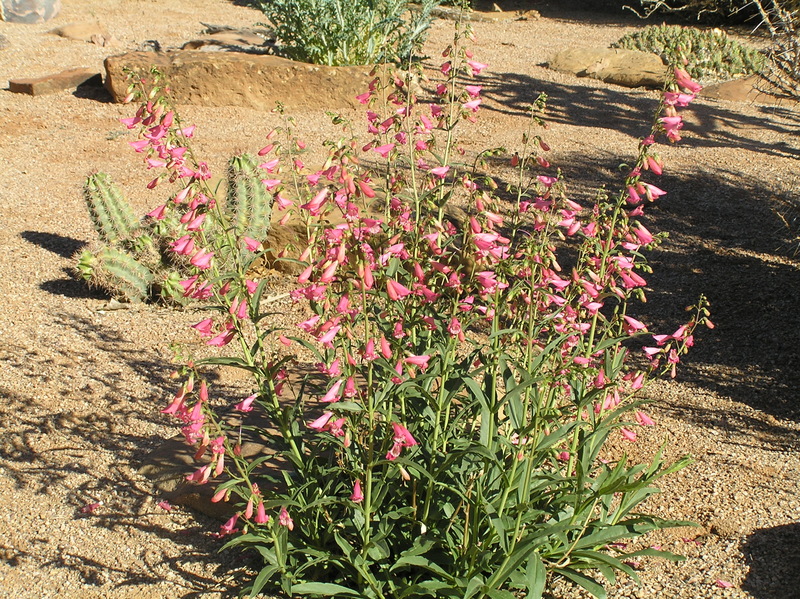 This Penstemon has scarlet flowers and blue green evergreen leaves that turn purple in winter. This is a tall Penstemon with blue green leaves and pastel pink flowers. They prefers well drained soils. Clump forming perennial with burgundy red leaves and white flowers. Blooms late spring to early summer. This is a tall slender Penstemon with shiny blue green foliage and bright red flowers in early summer. This is a tall robust perennial with blue green leaves and large pink flowers. This is a low growing Penstemon with silver grey leaves and lavender blue flowers. This is a tall perennial with elegant pink flowers. Great for attracting Humming Birds and very fragrant! This is a spreading evergreen perennial covered in bright red flowers all summer long. Great for attracting humming birds. This is a low grow spreading perennial with bright yellow flowers. This is a mat forming ground cover with sky blue flowers in spring. Excellent for attracting butterflies. This is a tall beautiful perennial with blue green leaves and fuchsia colored flowers. It is extremely drought tolerant. This is a medium sized penstemon with blue green leaves and light blue flowers in late spring. This is a low growing perennial with dark green leaves and vivid purple flowers. Great for attracting Humming Birds. Blooms all summer. This is a low growing perennial with dark green leaves and brilliant rose red flowers. Blooms all summer. This is a tall clump forming perennial with deep evergreen leaves and dark blue flowers. This is a vigorous spreading ground cover with bright yellow flowers throughout the summer. It works well in paths. This is an extremely drought tolerant mounding perennial with yellow paper like flowers that last all season long. They tolerate poor soils very well. This is a clump forming perennial with finely cut leaves and red to yellow flowers. This is a clump forming perennial with dark green leaves and golden yellow flowers. Works well as a cut flower. 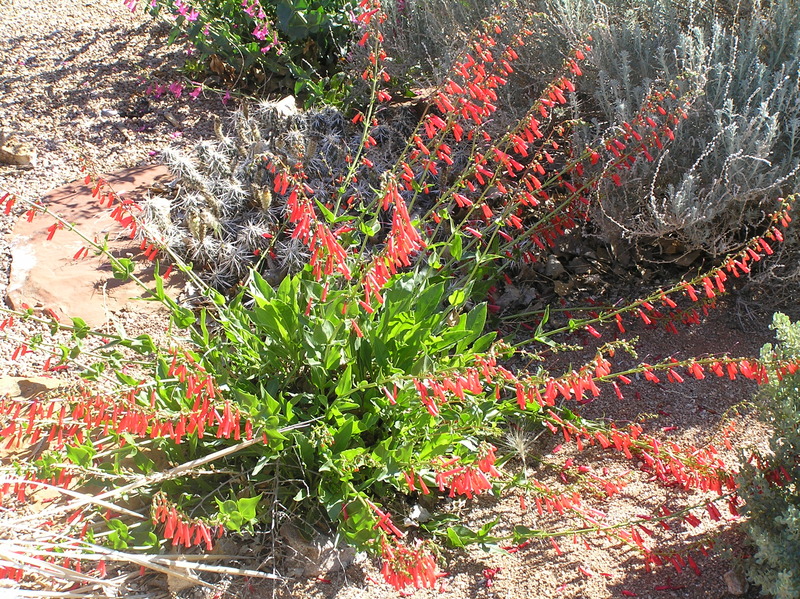 This is a clump forming perennial with bronze red flowers in late summer. This is a tall robust, fragrant perennial with sky blue flowers in fall. Great for attracting humming birds! 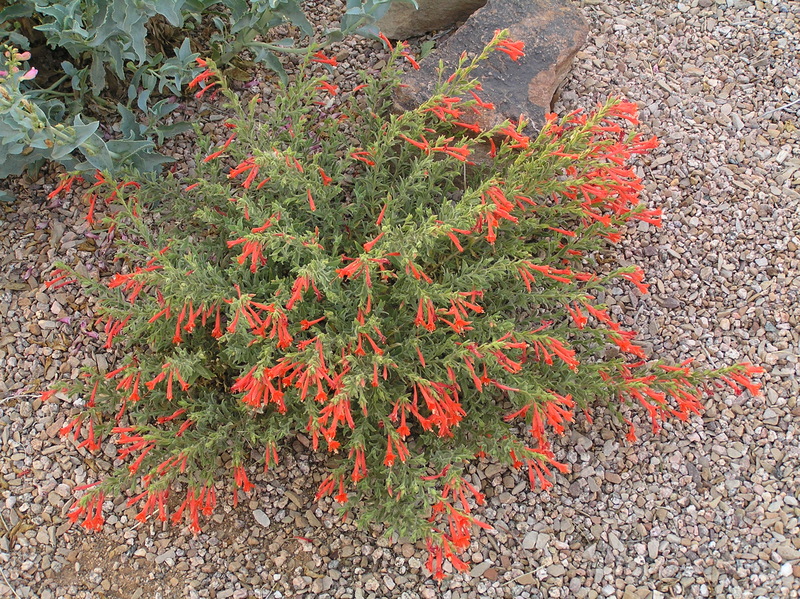 This is a tall sage with light green leaves and bright red flowers that bloom all summer long. They are great for attracting Hummingbirds. 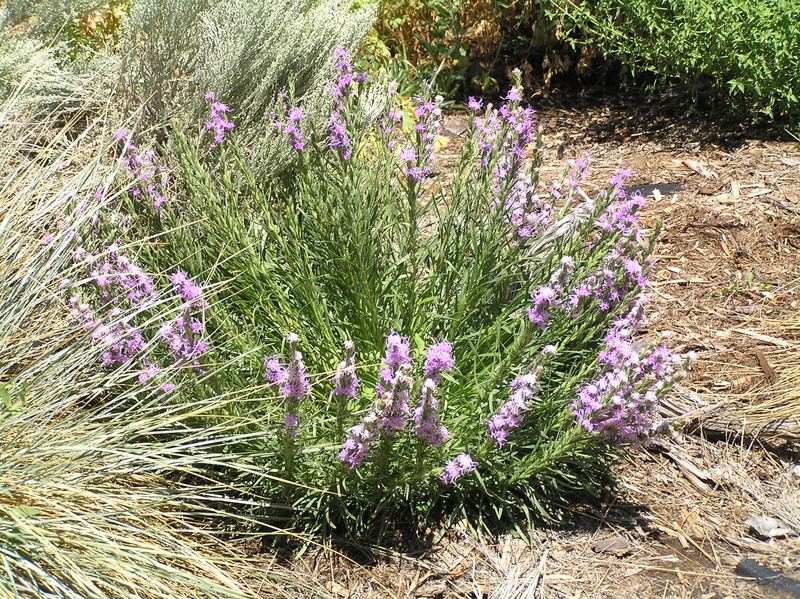 This is a mound forming perennial with silver foliage and deep violet to lavender flowers. It is very drought tolerant. This is a compact upright perennial with light green leathery leaves and crimson flowers that bloom from June till frost. This is a lovely perennial with hot pink flowers that bloom from June till frost. This is a tall perennial with gray green foliage and blue to purple flowers in early summer. This is a dense upright perennial with violet blue flowers. This perennial has deep rose flowers and gray green foliage. Will repeat bloom when cut back. This is an upright perennial with finely-cut silver leaves and bright yellow flowers. Works well as an accent plant. This is a mounding perennial with pink flowers works well in rock gardens. This perennial has numerous blue pincushion flowers all season long and makes a good cut flower. 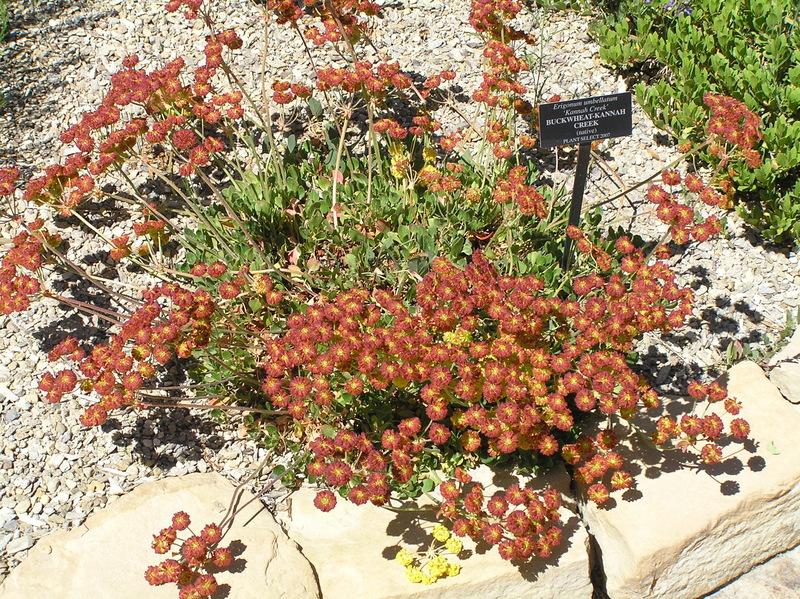 This is a low growing sedum with gold foliage. This is a tall clump forming perennial with blue green leaves and salmon pink flowers in late summer to fall. This is an aggressive ground cover with striking blue foliage throughout the year. They have pastel yellow to pink flowers in summer. 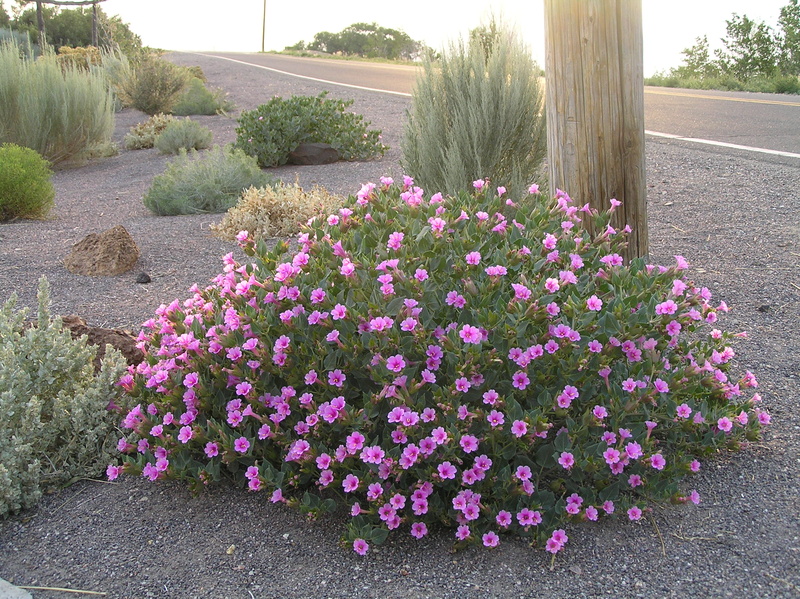 This is a low growing ground cover with greenish red leaves and pink flowers. The leaves turn brilliant burgundy in the fall. Low growing ground cover with rich red leaves and rose-red flowers. 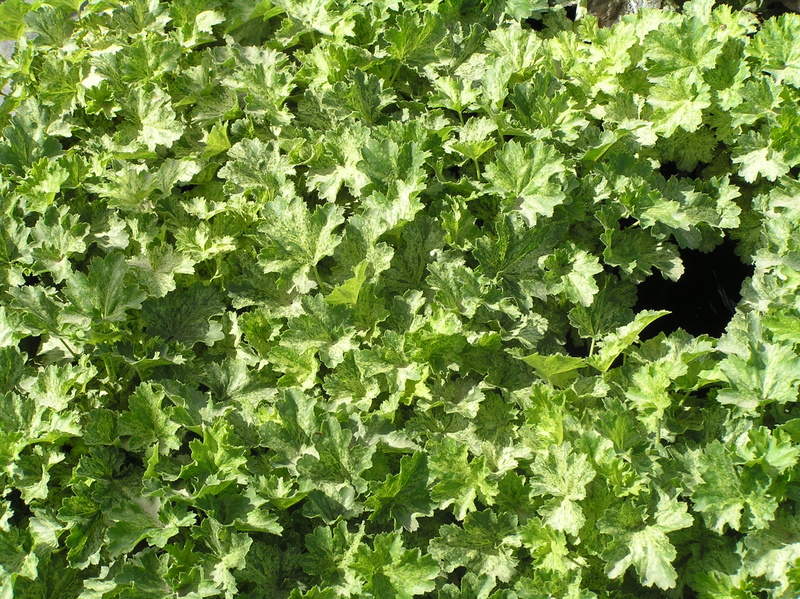 This is a low growing ground cover with glossy green and white variegated leaves. It makes a great accent plant and turns red in fall. 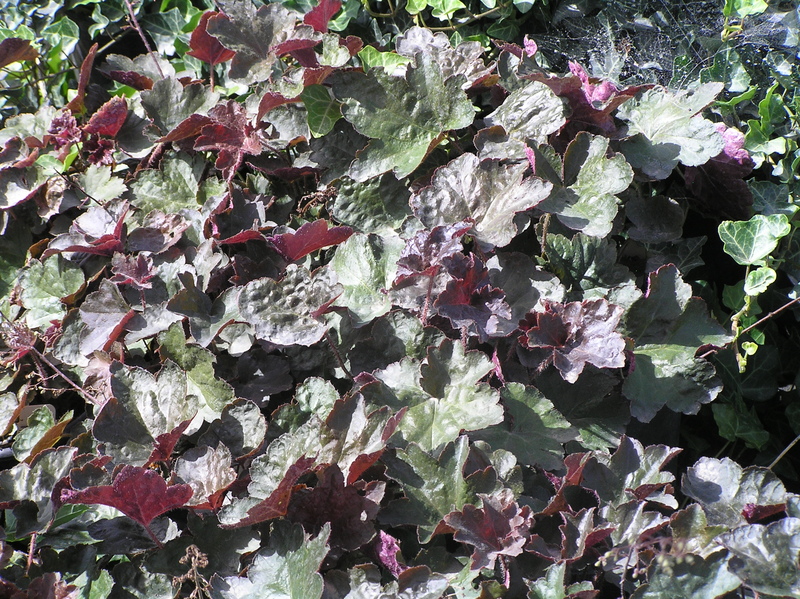 This is a low growing rosette forming ground cover, the foliage ranges in colors of red, green and white. They have pastel pink flowers born on exotic looking cymes. They come in different form small, medium to large. Some have spider web like hairs and others are smooth. We have a large assortment to choose from. 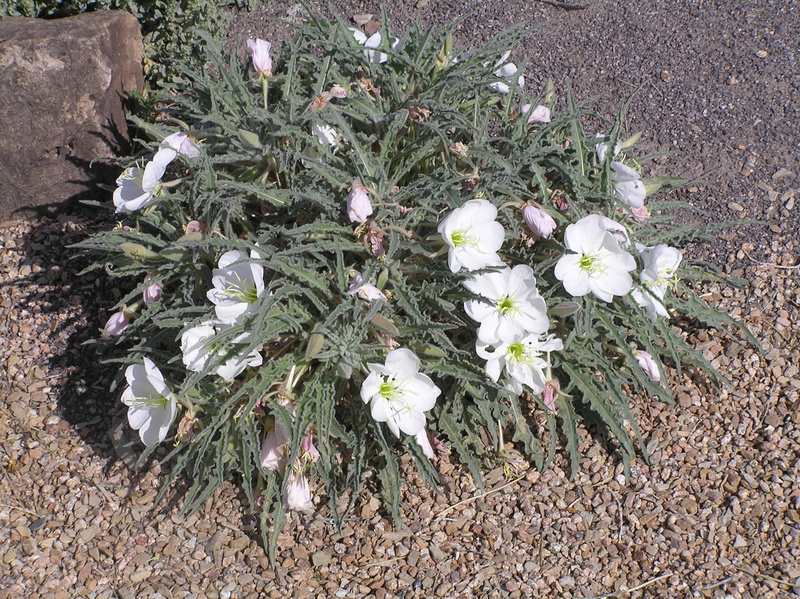 This is a clump forming perennial with grey green leaves and showy pink tubular flowers in the spring to early summer. 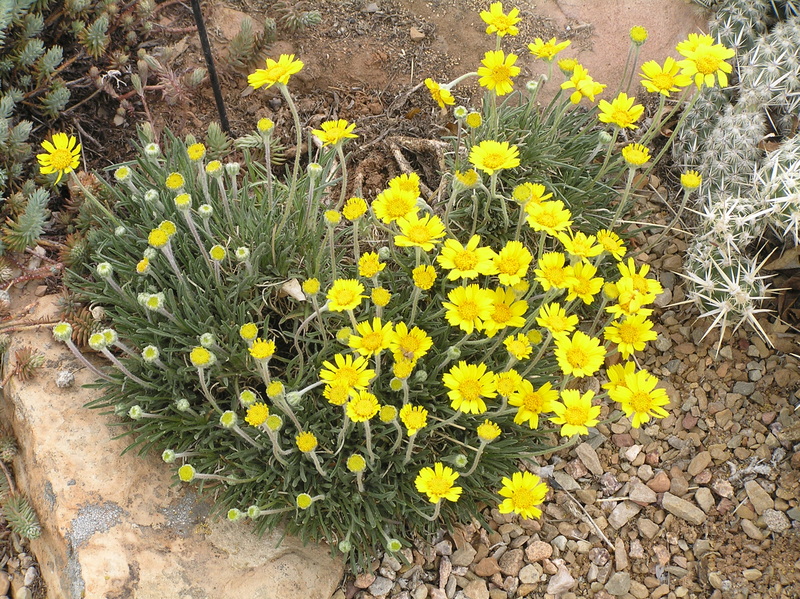 This perennial had silver foliage that shimmers in the sun and slender yellow flowers that bloom September-October. 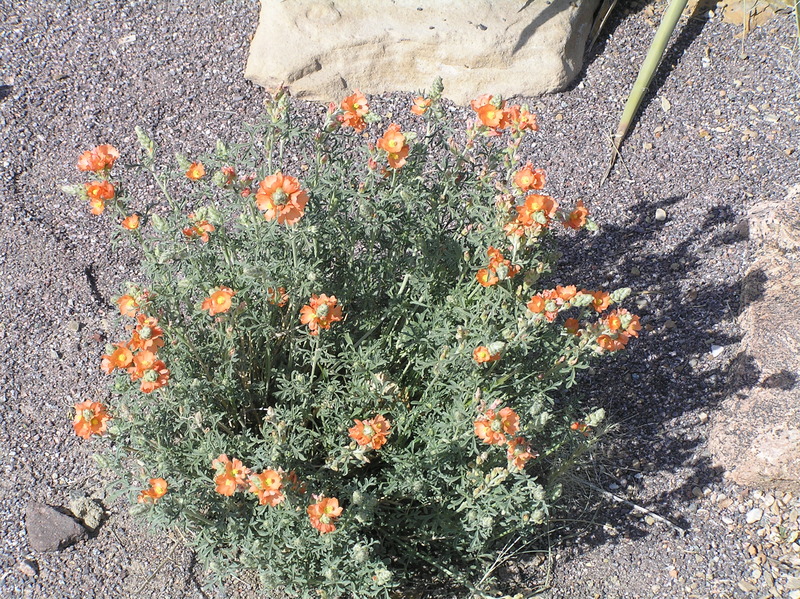 This is a tall native perennial with gray green lobed foliage with neon orange flowers. This is a tall native perennial with gray green finely cut foliage with neon orange flowers. This is a tall perennial with blue green leaves and deep orange flower. This is a mat forming perennial with soft silver foliage and violet flowers in summer. 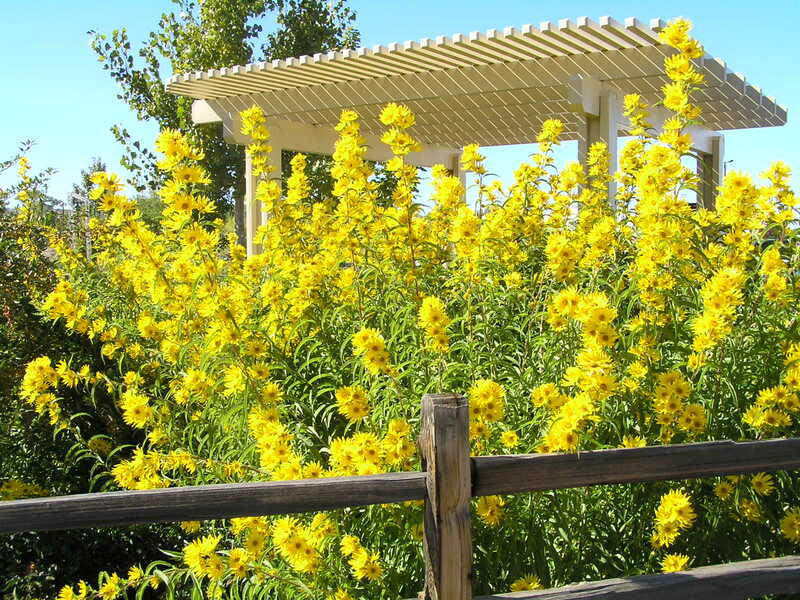 Extremely drought tolerant perennial with bright golden yellow flowers in summer. 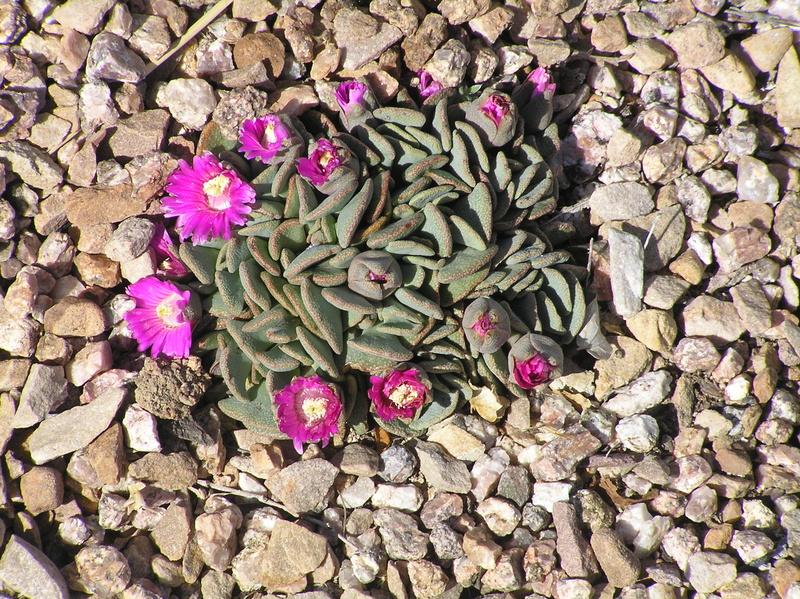 This is a mat-forming succulent perennial with neon pink flowers that open in the afternoon. They are extremely drought tolerant. Works well in rock gardens. This perennial has dark green fern like leaves and daisy like flowers in summer. This is a low growing perennial with finely cut silver foliage and tiny yellow flowers. This i a low growing ground cover perennial with dark green leaves with a white ting on the underside of the leaves. They have fragrant blue flowers all summer long. This is a native perennial with bright yellow flowers in summer. This is an extremely low growing ground cover with tiny dark green leaves and pink flowers. This is great creeping mound cover that works well around walk ways. The foliage is a grey green and has tiny pink flowers. This is a lovely ground cover with tiny pink flowers. It works well in paths and rock gardens. This is a low growing evergreen ground cover with glossy green leaves and bright blue flowers. It works well in mass plantings. This is a fast growing ground cover that tolerates dense shade. It is a natural cross between V. liwanensis and V. pectinata and is harder than its parent Turkish Veronica. It tolerates a wide range of growing conditions. It has light blue flowers that bloom in spring. This is a low growing evergreen ground cover with bright blue flowers in early spring and late fall. Great for erosion control. It has been know to bloom in mild winters. This is a low growing ground cover with blue green wooly leaves and pink flowers. This is a lovely mound forming perennial with grayish green leaves and striking orange trumpet flower that attract hummingbirds. Mound forming perennial with papery yellow flowers throughout the summer. Extremely drought tolerant!